Microsoft introduced extensions for Edge with the Anniversary Update for Windows 10. While the majority of users welcomed this addition, there are some who actually got headaches using some of the buggy extensions. This happens because AdBlock Plus for Microsoft Edge currently supports a maximum of only two filter lists, so if you have three or more, you’re going to get this error message. 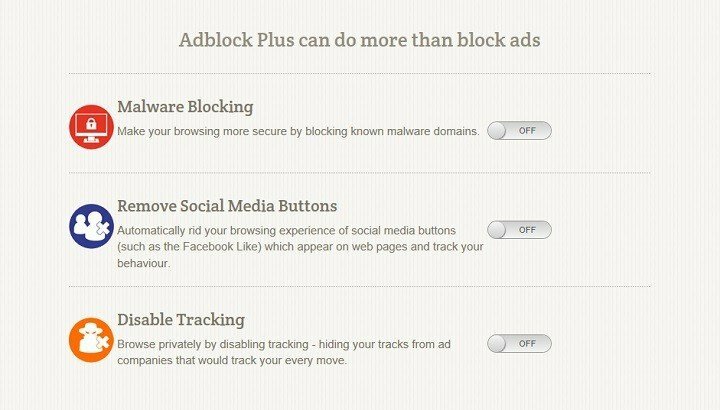 What’s illogical here is that when you install AdBlock Plus on your Microsoft Edge browser, it gives you additional options to block malware, remove social media buttons, and disable tracking. If you decide to use all these additions, you’ll have a total of five filtered lists in your AdBlock Plus extension, and the error message will make it impossible for you to use the browser normally. 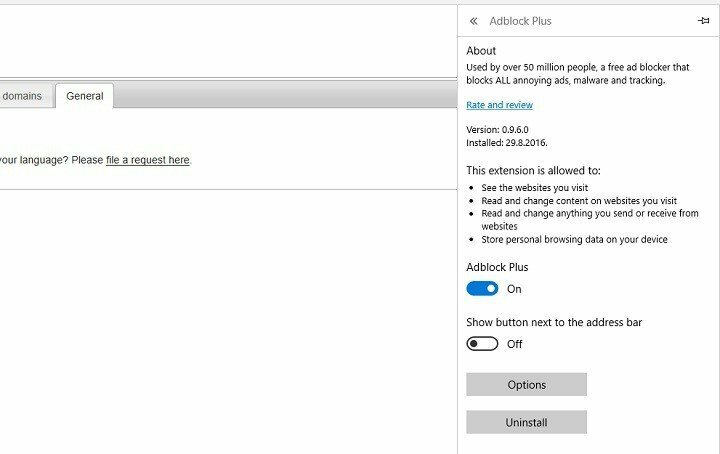 As many users want to take the full advantage of AdBlock Plus, they enable all three additions and the problem then occurs. Subscription storage is full in Microsoft Edge, how to fix it? Adblock subscription storage is full – This message is usually caused by glitches in Adblock, and in most cases you can fix the problem simply by updating the addon or by changing its settings. If that doesn’t work, feel free to try any other solution from this article. To solve this problem, you simply need to uninstall AdBlock Plus from Microsoft Edge and then install it again without enabling those additions. Once you install just the extension itself, you won’t have any problems using it. Once you install it, just make sure you chose to use block malware, remove social media buttons, and disable tracking, and you’re good to go. 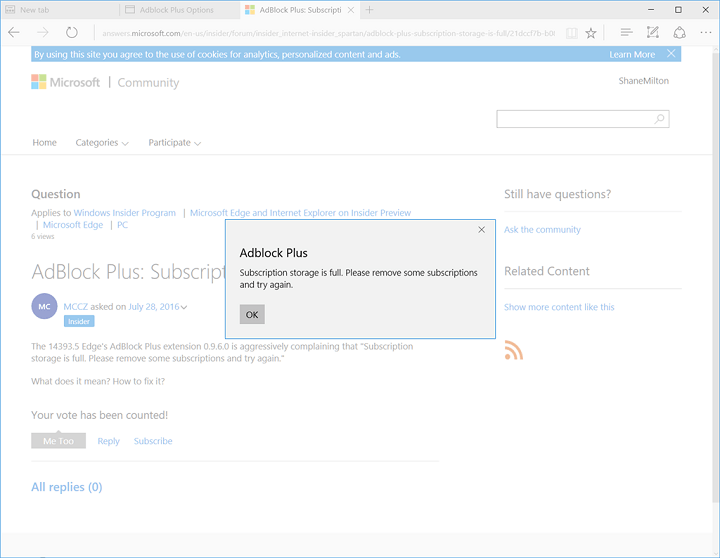 After performing this action, you should be able to use AdBlock Plus in Microsoft Edge once again. This issue is quite odd because you basically can’t use any of AdBlock Plus’ additional features even if they’re theoretically available. But if the issue still persists, we also recommend you to download this tool (100% safe and tested by us) to scan and fix various PC problems, such as malware, file loss and hardware failure. Click the Menu icon in the top-right corner. Choose Extensions from the menu. Locate Adblock Plus and click the gear icon next to it. Locate Fanboy’s Social Blocking List and click the red X next to it. After doing that, the problem should be resolved. Keep in mind that by removing this list you might not block certain ads, which can be a problem. However, you can choose a different list from Adblock Plus’ website and use it instead. Adblock is one of the best-known adblock add-ons for all browsers, but it’s not the only one. There are many great add-ons besides Adblock Plus, and if you keep getting Subscription storage is full message, perhaps this would be a good time to consider switching to a new addon. Press Windows Key + S and enter store. Now choose Microsoft Store from the list. Search for the desired adblock extension in the search field and install it. 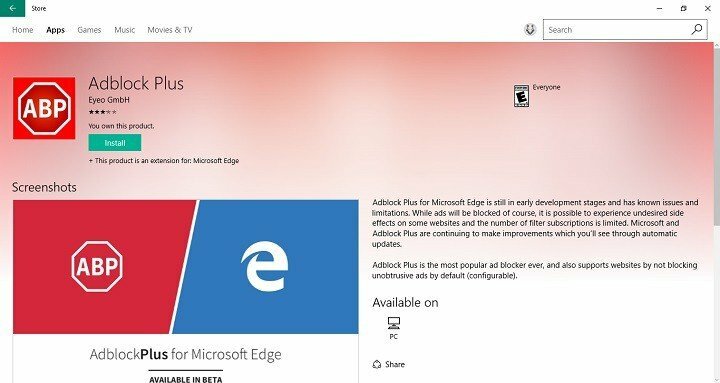 Microsoft Store has a dozen adblock extensions available, but many users are suggesting to try out Betafish, so you can do that. Basically, you can use any other adblock addon instead of Adblock Plus and the problem should be resolved. Before you install a new addon, disable Adblock or remove it in order to stop the two add-ons from interfering with one another. If you keep getting Subscription storage is full message, perhaps the issue is related to your version of Adblock. 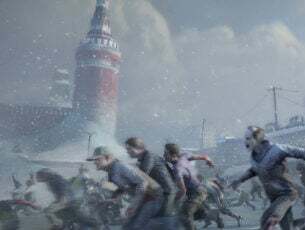 Sometimes this problem can occur due to various glitches with the addon, and in order to fix them, it’s advised that you update the addon to the latest version. Sometimes add-ons can have certain glitches, and if the developers are aware of this, they’ll release a new patch soon. If you’re having this problem with Adblock Plus, make sure that your addon is up to date. 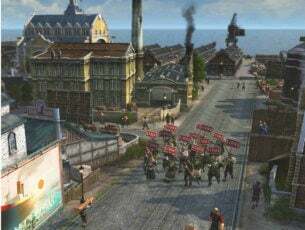 If the problem is still there, the developers are probably aware of this issue, and they should release an update soon, so you’ll probably have to wait just a bit more. Sometimes Subscription storage is full message can appear if your system is out of date. 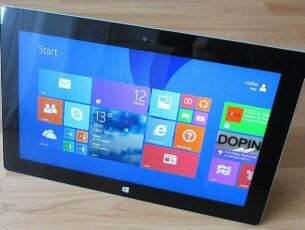 Microsoft Edge is closely related to your system, and in order to update Edge, you need to update your system. As a result, if your system is not up to date, it’s rather likely that Edge isn’t as well, and that can lead to various problems. If any updates are available, they’ll be downloaded automatically and installed. 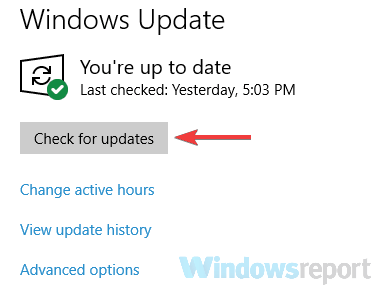 Once your system is up to date, be sure to check if the problem is still there. If you keep getting Subscription storage is full message in Microsoft Edge, perhaps the problem is related to your browser. 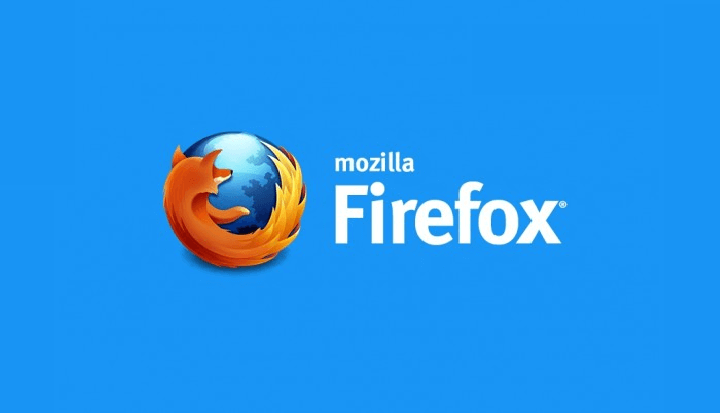 To fix the problem, perhaps you can try switching to a different browser, such as Chrome or Firefox. After switching to a different browser, install Adblock and check if the problem is still there. Bear in mind that this is just a temporary workaround until you manage to fix the problem with Edge. If the problem is present in another browser, the issue is related to the extension, and your only option is to wait for the developer to fix it or to switch to a different extension. We hope that AdBlock will fix this strange problem with a future update because the current state of the extension annoys a lot of people. However, extensions for Microsoft Edge are still young, so we shouldn’t be surprised because they’re not working as expected. We’re sure a lot of updates for them are ahead of us.